Purpose. To determine the associations among PFM, trochlea groove morphology, femoral and patellar rotation and to determine which measures best predict patellofemoral pain (PFP). Material & Methods. Knees of 51 female patients with PFP and 26 healthy female volunteers as control group were analysed with kinematic magnetic resonance imaging and full weight-bearing. The bisect offset (BSO), patellar tilt angle (PTA), femoral rotation angle (FRA), patellar rotation angle (PRA) were measured in steps of 10° between 0° to 50° of knee flexion. Static measures of Insall-Salvati ratio (ISR), sulcus angle (SAB & SAC) and lateral trochlear inclination at bone and cartilage levels (LTIB & LTIC) were performed and compared. Results. The SAB & SAC were higher and the LTIB & LTIC were lower in patients compared to volunteers. BSO, PTA, PRA and medial FRA were higher in the PFP group at all flexion angles. A multiple logistic regression analysis demonstrated that increase of FRA and SAB by 1° increased the likelihood of PFP 5.6 times and 1.6 times respectively, decrease of PRA by 1° decrease PFP likelihood by 1.7 times. Conclusion. These results revealed FRA, SAB and PRA to have best predictive value for patellofemoral pain. Current findings can help to assess the complexity of predisposing factors for PFP in practice. 2. Biyani R., Elias J.J., Saranathan A., Feng H., Guseila L.M., Morscher M.A., Jones K.C. Anatomical factors influencing patellar tracking in the unstable patellofemoral joint. Knee Surg Sports Traumatol Arthrosc 2014; 22: 2334–2341. 3. 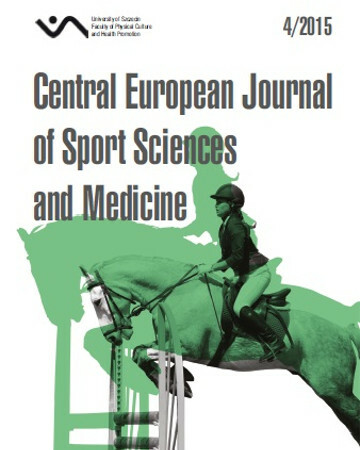 Brossmann J., Muhle C., Schroder C., Melchert U.H., Bull C.C., Spielmann R.P., Heller M. Patellar tracking patterns during active and passive knee extension: evaluation with motion-triggered cine MR imaging. Radiology 1993; 187: 205–212. 4. Carrillon Y., Abidi H., Dejour D., Fantino O., Moyen B., Tran-Minh V.A. Patellar instability: assessment on MR images by measuring the lateral trochlear inclination-initial experience. Radiology 2000; 216: 582–585. 5. Dietrich T.J., Betz M., Pfirrmann C.W., Koch P.P., Fucentese S.F. End-stage extension of the knee and its influence on tibial tuberositytrochlear groove distance (TTTG) in asymptomatic volunteers. Knee Surg Sports Traumatol Arthrosc. 2014; 22: 214–218. 6. Fulkerson J.P. Diagnosis and treatment of patients with patellofemoral pain. Am J Sports Med. 2002; 30 (3): 447–456. 7. Harbaugh C.M., Wilson N.A., Sheehan F.T. Correlating femoral shape with patellar kinematics in patients with patellofemoral pain. J Orthop Res. 2010; 28: 865–872. 8. Insall J.N., Aglietti P., Tria Jr A.J. Patellar pain and incongruence. II: Clinical application. Clin Orthop Relat Res.1983; 176: 225–232. 10. Pal S., Besier T.F., Beaupre G.S., Fredericson M., Delp S.L., Gold G.E. Patellar maltracking is prevalent among patellofemoral pain subjects with patella alta: an upright, weightbearing MRI study. J Orthop Res. 2013; 31: 448–457. 11. Powers C.M. Patellar kinematics, part II: the influence of the depth of the trochlear groove in subjects with and without patellofemoral pain. Phys Ther. 2000; 80: 965–978. 12. Powers C.M. The influence of abnormal hip mechanics on knee injury: a biomechanical perspective. J Orthop Sports Phys Ther. 2010; 40: 42–51. 13. Shih Y.F., Bull A.M., Amis A. The cartilaginous and osseous geometry of the femoral trochlear groove. Knee Surg Sports Traumatol Arthrosc. 2004; 12: 300–306. 14. Souza R.B., Draper C.E., Fredericson M., Powers C.M. Femur rotation and patellofemoral joint kinematics: a weight-bearing magnetic resonance imaging analysis. J Orthop Sports Phys Ther. 2010; 40: 277–285. 15. Staubli H.U., Durrenmatt U., Porcellini B. Rauschning W. Anatomy and surface geometry of the patellofemoral joint in the axial plane. J Bone Joint Surg Br. 1999; 81: 452–458. 17. Teng H.L., Chen Y.J., Powers C.M. Predictors of patellar alignment during weight bearing: an examination of patellar height and trochlear geometry. Knee. 2014; 21: 142–146. 18. Varadarajan K.M., Freiberg A.A., Gill T.J., Rubash H.E., Li G. Relationship between three-dimensional geometry of the trochlear groove and in vivo patellar tracking during weight-bearing knee flexion. J Biomech Eng. 2010; 132: 061008. 19. Ward S.R., Terk M.R., Powers C.M. Patella alta: association with patellofemoral alignment and changes in contact area during weightbearing. J Bone Joint Surg Am. 2007; 89: 1749–1755. 20. Wilson T. The measurement of patellar alignment in patellofemoral pain syndrome: are we confusing assumptions with evidence? J Orthop Sports Phys Ther. 2007; 37: 330–341. 21. Wittstein J.R., Bartlett E.C., Easterbrook J., Byrd J.C. Magnetic resonance imaging evaluation of patellofemoral malalignment. Arthroscopy 2006; 22: 643–649. 22. Wittstein J.R., O’Brien S.D., Vinson E.N., Garrett, Garrett, Jr W.E. MRI evaluation of anterior knee pain: predicting response to nonoperative treatment. Skeletal Radiol. 2009; 38: 895–901.